It's time to experience a project-planning solution that works the way you do—with flexibility. 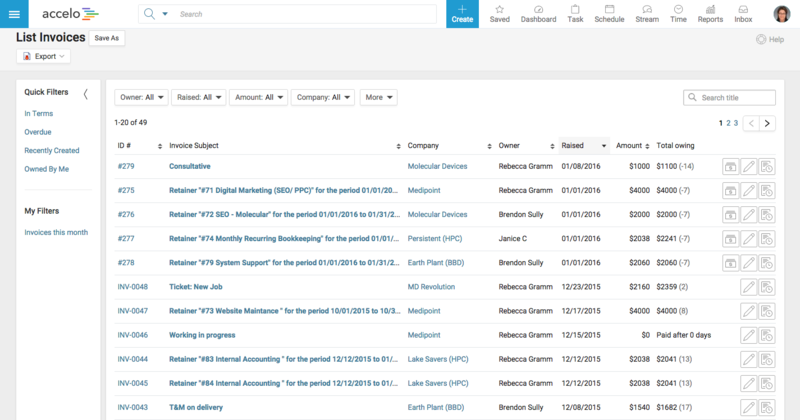 This will allow you to define your project's budget, set up milestones and timelines, tasks, and dependencies and more, while giving you the flexibility to adjust to any ad-hoc changes that may occur through a hybrid project plan. 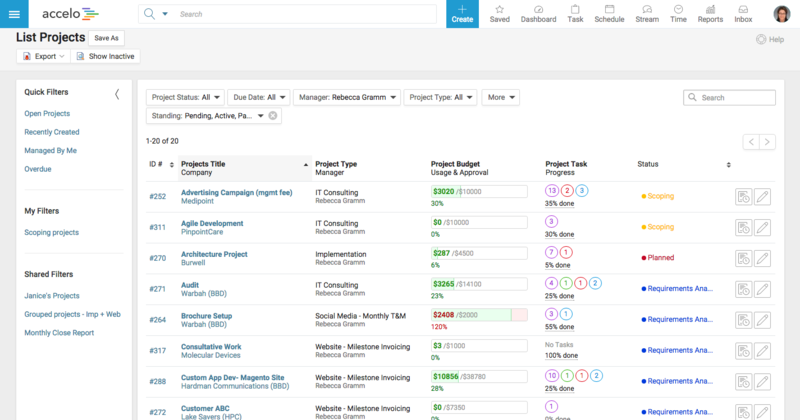 A dynamic and easy-to-use project-planning screen to facilitate your project structure and planning makes it easier than ever to plan with deadlines, dependencies, budgets and more. 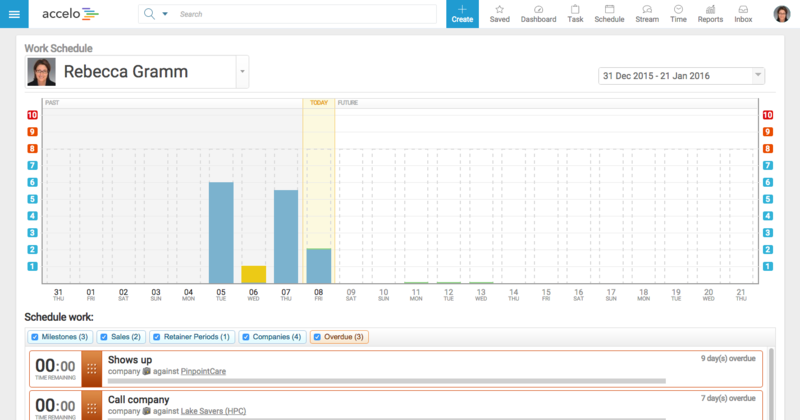 A single snapshot of your project with real-time budgets and roll-up details makes it easy to see the status of your project, budget and scope. 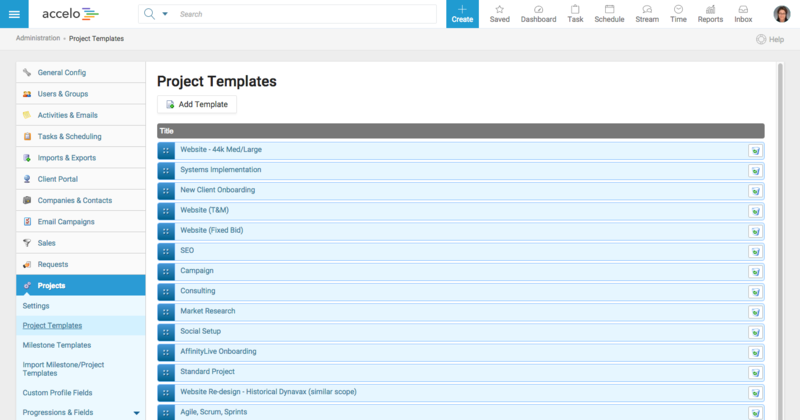 Put project plans together with ease, using either preconfigured templates or starting with a blank canvas. Plus you can save any workflow you create as a template and reuse it later. 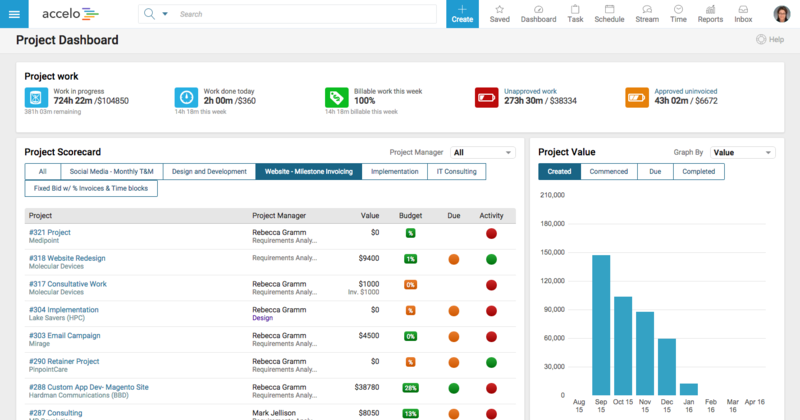 Accelo allows your project planners to focus on milestones, budgets and deadlines while letting the professionals assigned to do the work to create their own tasks and "carve out" budgeted time to match the reality of a project within the controls of the agreed plans. This allows you to accomplish the deadlines with the flexibility you may need to reach those goals. Charge different rates for different tasks and milestones and even for different people. Have the flexibility to manage your team and projects and always come out profitable. Accelo shows you the total amount of work you have done on each day for a particular project and makes it easy to see the status of your entire project. 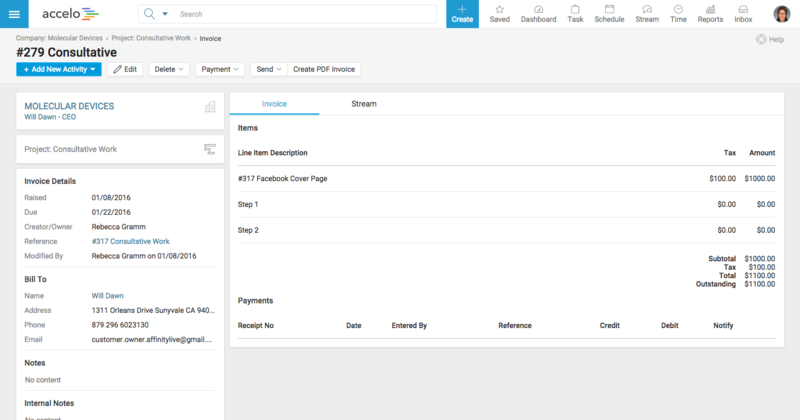 A fully integrated invoicing process, which takes you from approved timesheets to a generated invoice in just one screen. 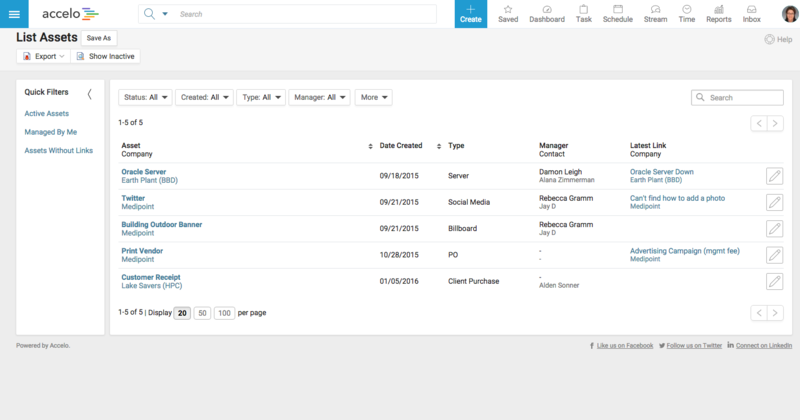 Gives you the flexibility to provide more details than ever before to your clients. Accelo allows you to add non-time-based inclusions into your milestones, and allows you to bill for assets, not just time.